The first images of the 2013 Toyota Land Cruiser facelift have been circulating around the web. 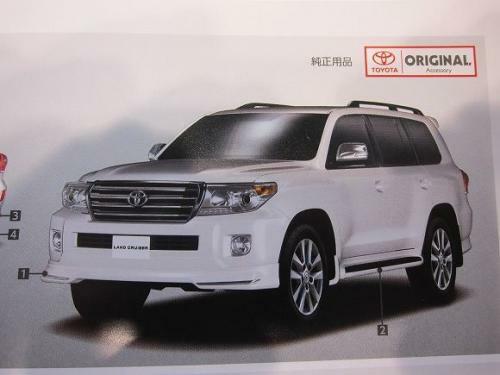 Taken from a Japanese brochure, the large SUV will receive restyled front bumper, grille, door mirrors, and bi-xenon headlights with LEDs. For the Japanese market, a bodykit, made up of a front spoiler, revised rear bumper, and side steps, will be offered. 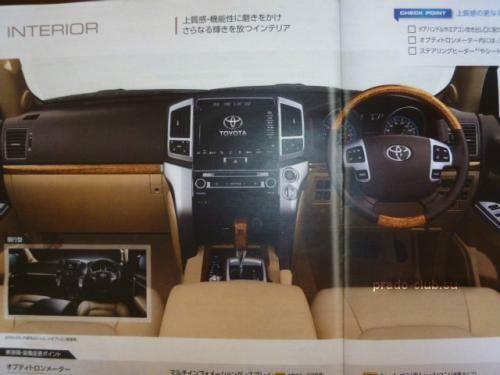 Inside, the cabin has obtained subtle styling tweaks with a redesigned instrument binnacle, steering wheel with wood accents, and new metallic trim. In Europe, expect the LC to feature more fuel-friendly engines and more equipment. Sales start in mid-2012.